With the bunch of crazy folks running around these days wielding guns, I wouldn’t mind having one of these BackpackShields covering my back. Constructed from 13 layers of K-29 Kevlar, this thin, lightweight plate will be able to fit in most backpacks and is effective in stopping bullets ranging from the humble 9mm all the way to the powerful .44 Magnum. Good thing it doesn’t deflect bullets as that could result in collateral damage. 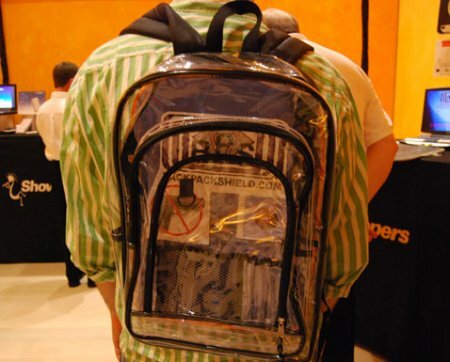 The BackpackShield targets college students, high school students, concerned parents, and commuters, retailing for $249 each. You can choose from 10 assorted colors or even customize it with any JPEG of your choice. Amazing, this thing would really be sold in bulk in my country.